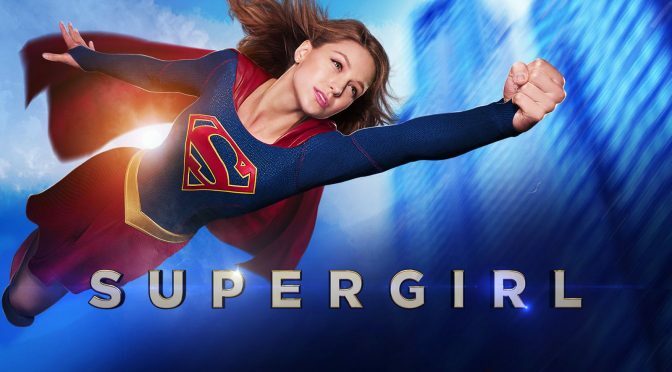 Something I admire about Supergirl is how the show is now in season 4 and doesn’t have to rely on her more famous cousin to draw people to the show. This doesn’t mean though that when I see an episode title called Man of Steel I don’t get a little excited that Clark will appear and give us some super friends fun. However this week the producers gave us an early Halloween trick as not only was there no Superman but Supergirl herself was only on screen for about 5 minutes. 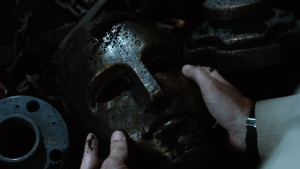 Episode 3 Man of Steel was the episode we learn the back story behind Ben Lockwood (Sam Witwer) and his transformation into Agent Liberty, the person we believe is this season’s big bad. We learn that all though Ben initially gave aliens a chance and even tried to help them when they first arrived on Earth, he soon began to blame them when things started falling apart for him. The Man of Steel title is due to the Lockwood family running an American steel company who start losing business due to alien metal and workforce, eventually resulting in the business going bust. Ben who is a college professor of American history starts venting his families frustrations at the alien students in his class in a hateful and racist way. Unsurprisingly this leads to him losing his job, again something he blames on aliens as in a rare Kara scene she has to intervene during a situation at the bar in which Ben is accusing an alien student of complaining about him and getting him fired. The final straw for Ben is when he loses his father who tells Ben in his final moments that steel was his life and without his factory he had no life left. He then gives Ben the motivation he needs to start his fight against the aliens “Stand tall, stand proud, your human and this planet belongs to you, stand up and fight for what’s yours”. 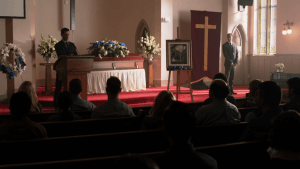 Ben’s father was played by Xander Berkley who we recently watched die on the Walking Dead as Gregory so it’s not been a good couple of weeks for that guy. Eventually Ben meets Mercy Graves who admires the work he has been doing in fighting the aliens and gives him the funding and support he needs to become a full time villain and adopt the persona Agent Liberty. The cliffhanger is here as we learn that Liberty, Mercy her brother Otis want agent Jenson to get them inside the DEO. I was not a huge fan of this week’s episode because it felt more like a mid season filler than episode 3. I understand the show wants us to understand the reason behind what Agent Liberty does but I don’t really care. I want my bad guys to be bad and I don’t need a whole episode telling me why they are bad and what their motivations are. I also was disappointed that the entire episode had Supergirl laid up in a hospital bed and she was still there at the end. This being said there was a lot about the episode I enjoyed. The way the episode was shot was very reminiscent to the opening of Batman V Superman in terms of how we were getting flash backs from events that happened In the last 2 seasons of Supergirl but we got to see them from Ben Lockwood’s perspective. A fight between J’onn and a daxamite that overspilled to the Lockwood house and left it in flames, much like the Superman v Zod fight in Man of Steel that left the Wayne tower building in ruins in BVS. I also liked how once again Lena is called in to save the day and help cure Supergirl from her kryptonite poisoning even though she is still the only one who doesn’t know Kara is Supergirl. The show keeps setting Lena up to be a baddie but she continues to save the day and I really hope one day the producer’s don’t suddenly turn her evil just because she is a Luthor. Last week she said to Mercey that her mistake was picking a side, telling us that Lena plays by her own rules and I like that about her. The name Luther leads me onto my final thought. We know Lex is joining the show this season so how will he make his entrance? Will it be soon? Here is a theory that I have been thinking about, bare with me because you do need to use your imagination. Lex is is prison for a long time, but if he joins the show we can assume he gets out. How does he get out? Is he broken out by Mercy and co? Possible. Or, now the president has been outed as an alien maybe some things she has done get rescinded, like what ever charges sent Lex to prison in the first place. 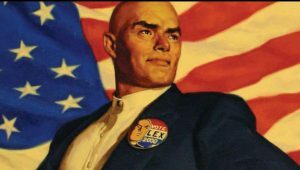 If Lex gets exonerated and the presidency is up for grabs, what if Lex’s entrance to the show is him running for president? It happened in the comics. It happened in Smallville so why not? Feel free to let me know your thoughts on this on twitter.